How freaking cool is this? 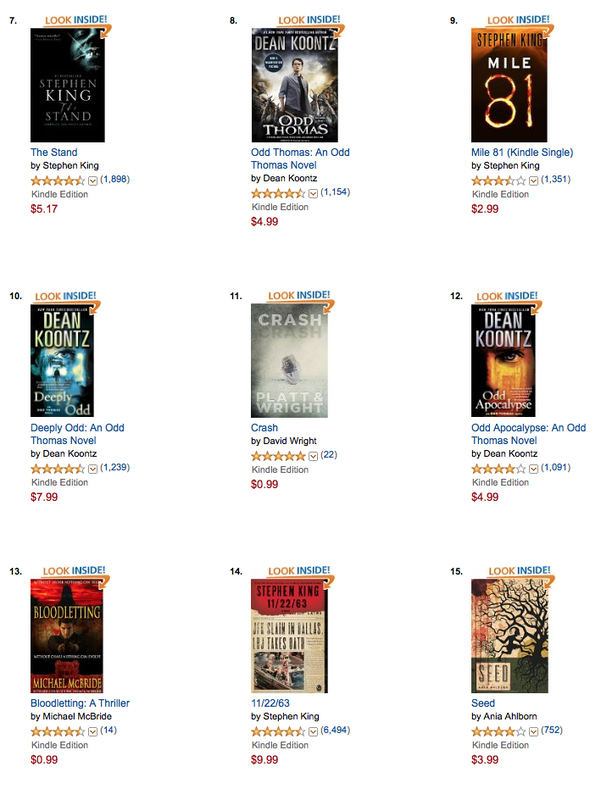 Top 20 in Horror Suspense with two of my favorite novels ever! THE STAND is my favorite novel of all time, just so you know. This entry was posted on July 9, 2014 by evilanche. It was filed under Uncategorized . Thanks, John! I couldn’t be more thrilled! Proud to see that, Mike. Well done.